If you are starting a small business, surely you understand the importance a website plays in giving you credibility, helping your customers get to know you and your services, and attracting leads via the internet. 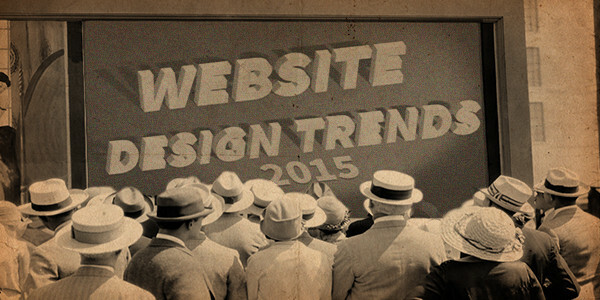 Prior to moving forward with a website design (or redesign) here are a few trends to consider. Minimalist – When you visit a website, do you generally find yourself appreciating websites that have a clear message when it comes to the text and images? Do you prefer websites that are intuitive and allow you to easily access the information you want? Alternatively, do you prefer websites that have lots of reading, and a wide array of images and various calls to action? Generally speaking, I find businesses that have effective websites tend to put lots of focus on the content. They don’t add content that confuses or distracts visitors, and they generally review the text and images on their site to ensure what is seen by visitors is effective, and communicates what matters most to them. By de-cluttering your website, you are also indirectly displaying a respect for your visitor’s time. You know time is an important commodity to them, so you give them the exact content they need in format that is intuitive and easy to understand. Less Pages – In the top 10 worldwide markets that use Google, over half of searches performed are now done via mobile device. When someone is browsing through a website on a mobile device, they don’t like to load a lot of pages. While including additional pages to help search engines index and rank you is still a factor to consider, generally the trend has been moving towards websites that allow users to scroll. Mobile users have become accustomed to scrolling, and prefer to scroll over clicking on new pages. Including more scrollable content, especially on your home page also helps you control your brand message. The visitor flows through the content naturally (like a Facebook news feed) and will absorb the most important content and messages in any order you see fit. Mobile Friendliness – On April 21st 2015, Google announced it would increase mobile friendliness as a ranking signal in its search results. In English, they know the majority of their searchers access Google via mobile device, and they are interested in giving those searchers the best experience possible. As a result, they will analyse if your website is mobile friendly and if it isn’t, they will be less likely to show your website to its searchers who are accessing Google via mobile device. What this means for website design is that it is strongly advised that your website be mobile responsive. Click here to check and see if your website is mobile friendly. Page speed is also important to mobile users, and it is also a ranking signal. Click here to check and see how your website performs, when it comes to page speed. In conclusion, the trends appear to really centre around respecting a visitors time, making the experience easy and intuitive for them, and understanding that your website needs to look and function great on all devices, including cell phones and tablets. Are there any other design trends you think small businesses should consider when getting a website developed or designed? Any lessons learned from your own experiences that you can share? I would love to hear your feedback. Also, drop me a line if you have any questions about web design trends, and making your website mobile friendly.